Fifteen years after 9/11, the Sikh Coalition, a non-profit organisation, turns to art to open American hearts and minds to the community. IMAGE: Japjee Singh was bullied mercilessly for years in Dekalb County, a suburb of Atlanta. He courageously spoke out and his family contacted the Sikh Coalition. In 2014, the US Department of Justice settled a landmark case with the Dekalb County school system better protecting 100,000+ kids from bullying! He lives in the suburbs of Atlanta and is a senior in high school. Each day, he faces bullying in school. 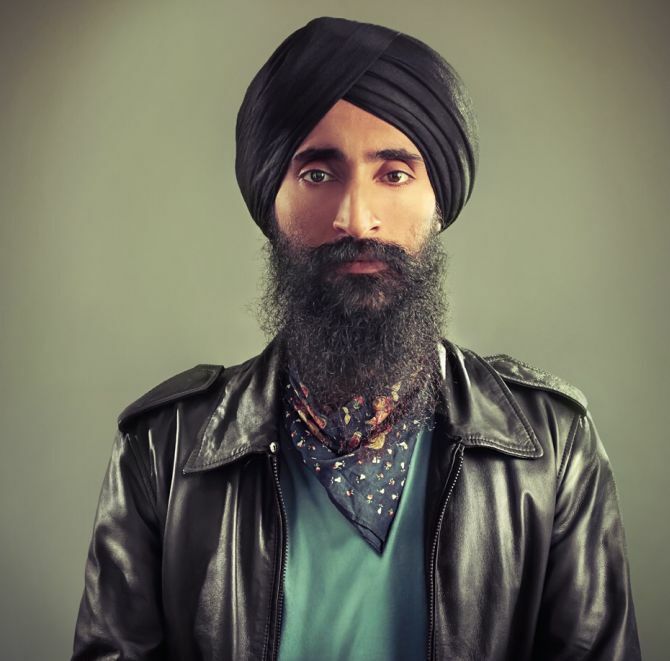 Japjee is just one of the many Sikhs who continues to face discrimination and are bullied in the United States of America as the community is still looked upon with suspicion ever since the dastardly 9/11 attacks. 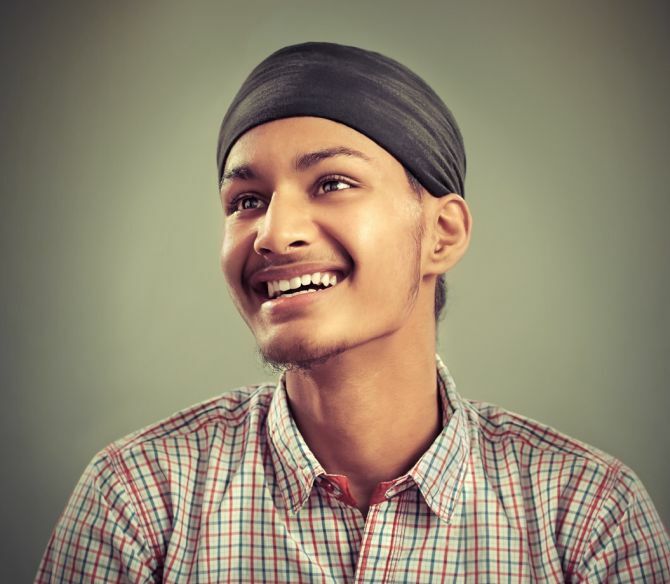 IMAGE: Harmandeep Singh is a high school senior at the Hillcrest High School in New York City. A recent immigrant from Punjab in 2014, he joined the Sikh Coalition's Junior Sikh Coalition to help raise Sikh awareness while developing new leadership skills. As America, marks the 15th anniversary of the attacks, the Sikh Coalition, a New York-based civil rights organisation which was established in the wake of the post-9/11 hate crimes against South Asians -- especially Sikhs -- turns to art to try and open American hearts and minds to the community. 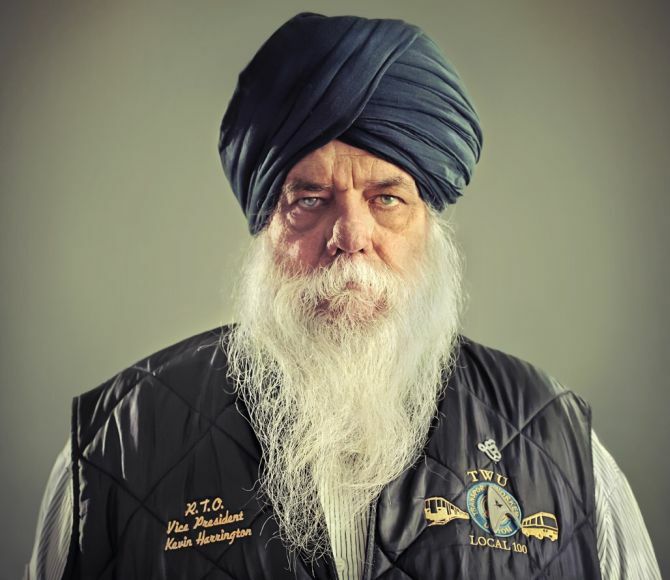 Featuring photographs of Sikh men and women, the idea is to show that Sikhs despite their physical appearance -- the beard and the turban that are part of the religion's articles of faith -- are no different from other New Yorkers and other Americans. 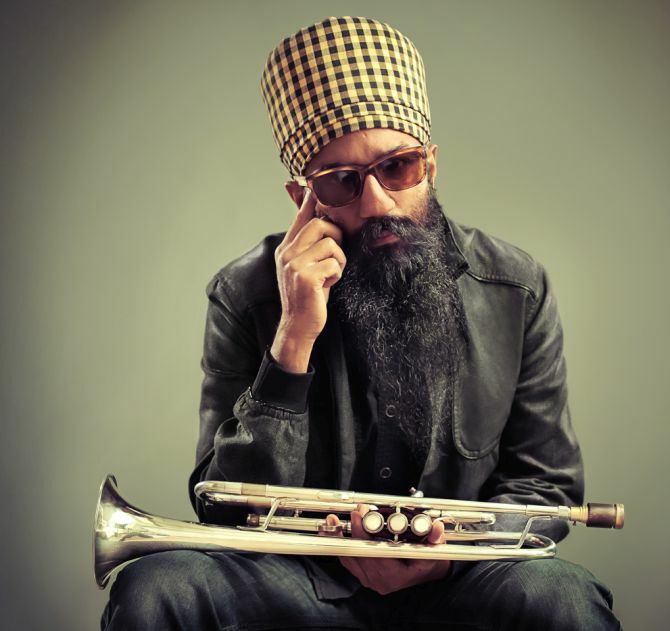 IMAGE: Sonny Singh is an original member of the acclaimed Brooklyn Bhangra band, Red Baraat. Sonny has worked as a community organiser in various capacities, including for the Sikh Coalition, and he writes and teaches classes on race, religion and social justice. The show -- The Sikh Project, featuring nearly 40 portraits -- runs from September 17 to 25 at 530 Broadway, New York City. 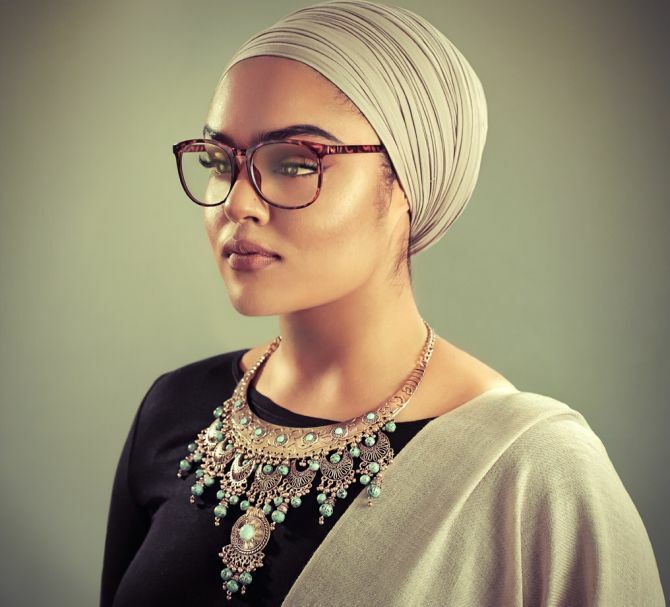 The point of the project according to Satjeet Kaur, development and communications director, The Sikh Coalition, is to not only commemorate that tragic event, but also to narrate the Sikh story, what happened to Sikh Americans after 9/11. IMAGE: Major Kamaljeet Singh Kalsi was born in India and moved to New Jersey when he was two. 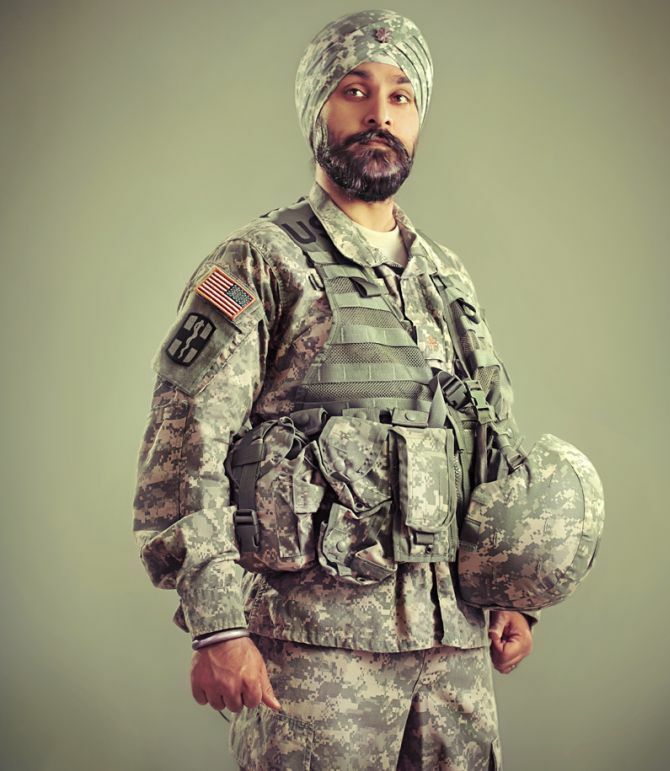 He was the only Sikh child in his public schools, and he went on to become the first Sikh American to be granted a religious accommodation to serve in the US military since the ban on Sikhs in the 1980s. 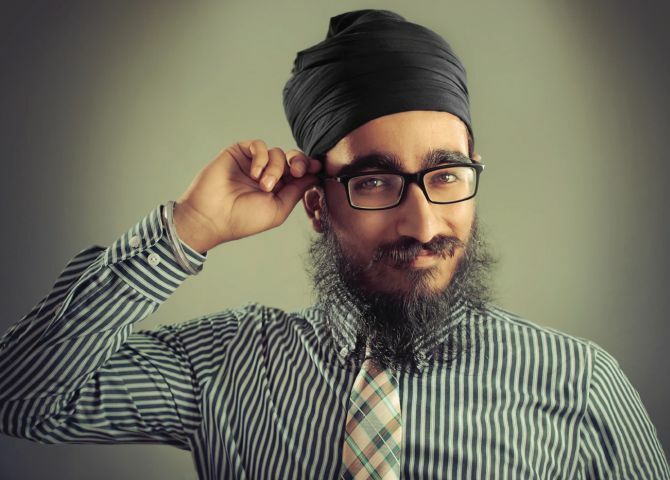 The Sikh Coalition said it realised that Sikh beards and turban are so misunderstood in the West. IMAGE: Waris Ahluwalia is an actor (The Darjeeling Limited, among other Wes Anderson movies) designer and model based in New York City. Waris was kicked off a flight at the beginning of February 2015 for his articles of faith. IMAGE: Ishprit Kaur is a nursing student in Connecticut. She was inspired to go into this field because her mother is also in the profession and because her father is battling Parkinson's disease. IMAGE: Sat Hari Singh (Kevin Harrington) was a NYC Metropolitan Transportation Authority train operator on 9/11 when he reversed the train, sending it in the opposite direction, which saved lives. He was honoured as a hero for saving lives. He eventually went onto become a client of The Sikh Coalition and sued the MTA for their biased policy against turbans and won.